Well, of course the theme of the last two weeks has been "F" is for "Flooding." Since I've posted so many flood pictures, not sure if I want to do much more of that. 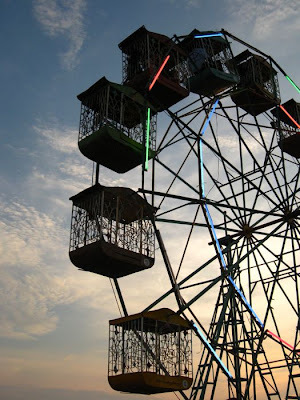 This is a Ferris wheel at the Mekong riverfront last October. At the end of the Buddhist Lent, which is marked by the end of the rainy season and the full moon of the 10th lunar month, the main boat racing festival is staged on the river. 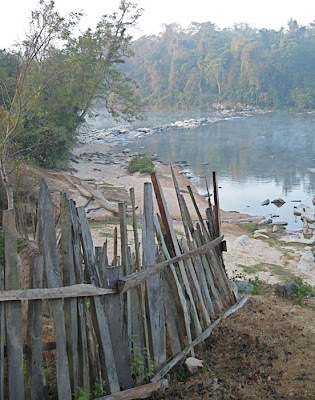 A fence by the bank of the river in Ta-Oi District, Salavan province - and beyond it, the forest. I'm looking forward to getting back out there in October. It's difficult to get there during the rainy season - few bridges and the dirt road turns into the worst kind of mud. It takes at least five hours to reach the district capital - and it's only 80 kms (about 50 miles) from Salavan town. Fish tank in a TV set. Brilliant. 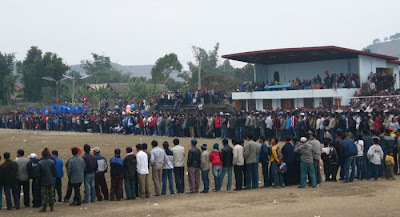 Football match at the sports field in Xieng Khouang, northern Laos. There's a big fair and sports tournament for the Hmong New Year. So those are some F's for my week. For more of ABC Wednesday contributions, go to ABC Wednesday. loved the fish tank in a tv set. indeed brilliant! What clever F-pictures! I love the one of the fence! Lots of texture and mood in that one. Fantastic and varied photos depicting the letter F.
The ferris wheel is very different from the ones I am used to! Do you stand it in as it goes around? Wow, that's a nifty idea for an old TV set... I wonder if there's such a thing as 4-ft TV sets?... I think our tank is a wee bit large. & That fence. I love it. Great photo. 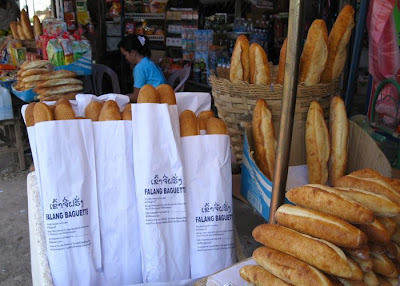 A great selection which really shows your area. Wonderfully informative. Great collection of Fs. 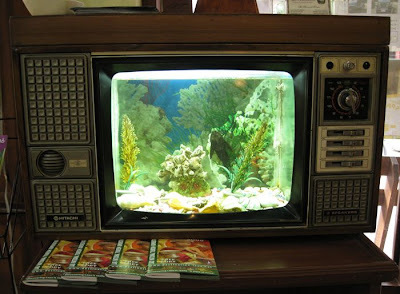 Is the fish tank actually fish in an old TV, or is it images of fish like my daughter has as a screen saver? i also love the fish in the tv. :) fascinating shots.